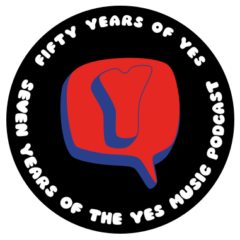 The tenth episode of the Yes Music Podcast featuring the ninth studio album, ‘Tormato’. What’s going on with the album cover? Does the choice of lyrical subject matter go too far? Great show! I do agree with you on Tormato. I have always thought this album is incredible, and On the Silent Wings of Freedom as one of the greatest rock songs ever! Sometimes I think it is my favorite Yes and rock song ever! I find Going For The One and Tormato as my favorite Yes albums from the 70s. Thanks so much, John – that’s fantastic feedback. I’m really excited to know you liked this episode best! Thank you Kevin for providing such intricate details in the description of the music! I especially love that the focus is on the music as well. The light touches of concurrent goings-on that you sprinkle and now and then are perfect! Tormato is right up there with Fragile and Close To The Edge. I remember seeing the album in the drugstore bargain bins all of the time year before I ever heard it. I was turned off by the cover. I thought it must be awful to merit such a drastically putrid artwork. I much prefer the Roger Dean work. Related is the most fantastic and is framed and hanging on my wall at home. Alongside Electric Light Orchestra’s Out Of The Blue and Blondie’ s Anti-American, among others. Thank you for bringing Tormato to the forefront, as it truly deserves. Thank you for the quick follow up! A correction to my post earlier. It should have read Autoamerican by Blondie, not Anti-American. Regarding the tracks on Tormato: I feel Circus Of Heavan is what held my attention most upon first listening. I loved the childlike nursery rhyme feel to he lyrics and the symbiotic imagery created by the music. Onward, too, another standout vocal from Jon and yearning lyrics that spoke to me as a teenager. Madrigal is just a splendid display of Yes’ diversity and ability to expand the listeners comfort zone. Thanks, Kevin, fir the amazing Yes Music Podcasts. They have really helped me engage with the band, more than ever before. Recently I selected the Tormato album on my iPod to play while I did some drawing. By the way, Yes music is excellent for this. Anyway, I was a bit surprised when Abilene hit my ears instead of . Since I was enjoying the music anyway, I decided I would not mess with the iPod just then. After Abilene played through, Arriving UFO began. This is weird, I thought. I would have never put these two songs together. I am typically very faithful to the play order in which the artists have selected. It turns out I had accidentally alphabetized Tormato’ s song order. The set played out very well! So well, in fact, I have not changed it back. I am considering experimenting with other studio albums and see how well it works. My first thought after my realization was to tell you about it. I hope it was not too lengthy. Great story Gary! It’s a great thrill that you are enjoying the podcast so much! I must try your alphabetical approach some time! Well Kevin. I have finally come to enjoy most of Tormato, after virtually shelving the album, (save for a couple cuts), about a year after it’s release. Listening to the album with new ears, and a new frame of mind, along with your commentary have really brought this album back for not just myself, but my wife as well. I can now say, I enjoy every track on the album a great deal, and have begun to integrate most of the songs into playlists. My favorites are Arriving UFO, Circus of Heaven, Onward, Future Times/Rejoice and Madrigal. Next tier down is Don’t Kill the Whale and On The Silent Wings of Freedom. Sadly, I should also report, however, that not only do I still not like Release Release, (my least favorite even back during the release time), but to my ears, it is even worse now due to the aging process. It may have been better in context to the time it was released. It remains one of only two or three Yes songs that I not only don’t care for all that much, but that actually annoys me. It’s impossible for me to listen to. Kind of like fingernails on a chalk board. So, sorry….not a 100%’er, but I do need to than you for helping me to loving, what, 7/8th’s of the album. Truly remarkable. I really like your podcast. Epecially the album runthrough’s and the alphabet shows. I discovered you just last year, so it’s been a real pleasure having marathons and catching up. Thanks for sharing your fandom, and your honest assessments of this great bands output, whether I agree with you or not on a particular song/album/ or DVD. It’s just great to have another Yes place to go and be immersed in this band which has had so much effect on so many people over the years. Thanks Steve – great to hear your new appreciation of Tormato – in my biased opinion the most enjoyable work of our favourite band. I still love Release Release for its energy. Chris Squire refers to it as Yes’ answer to punk on the clip of his conversation for the Dialogue book, I think. Interesting that…Queen’s response to punk was allegedly Sheer Heart Attack – the track not the album. Have you heard that?